What a great gift for Mother's Day . 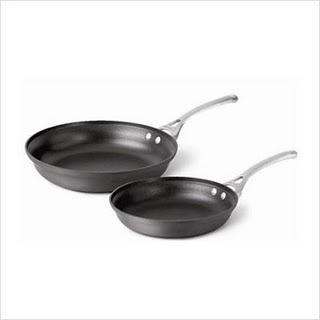 . .
Tammy over at Tammy's Two Cents is giving away this set of Calphalon Omelet Pans! This combo includes a 10" and a 12" nonstick pan. There are lots of ways to earn extra entries. This contest is open to U.S. and Canadian residents and will end on March 24th, 2010.